Are Celebs Taking Roles Away from Voice Over Community? 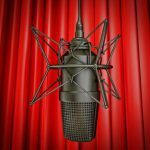 Celebs Are Taking VO Roles Away from Voice Over Community… Really?! A few months back, I saw an article posted in one of the voice over community chat groups in Google. The title of the article was: Celebrities are Silencing Career Pros in Animation Voice Work. I see and enjoy all of these animated films… Not only because I’m a professional voice over talent and it’s part of my industry, but because I’m the mother of two children, and they love watching these types of animated movies. This year for Halloween, my kids dressed up as Astrid and Hiccup from the “How to Train Your Dragon” movies (see cute costume pic down below). So, are celebrities really squeezing out other voice over actors in animated movies? There is certainly a fair amount of discussion and sour grapes about it in the voice over community. The article referenced above makes some very thoughtful and compelling arguments. However, my personal opinion is, these types of voice over jobs have gone (and will continue to go) to celebrities and famous actors, and there is really nothing the voice over community can do to change that. What’s wrong with an “A” list actor wanting to do animation, in film or TV? Acting is acting! And in the voice over case, it can certainly be a lot less taxing than being on set for months at a time, in period costumes, working long hours in some foreign land, away from family. I don’t begrudge a celebrity from finding work wherever they can, and in whatever genre is available. They’ve earned it. If they want to work on Broadway, public television, Sesame Street, for Disney, Pixar or Dreamworks animation, then that’s certainly their prerogative. I think the idea in the voice over community that these celebrities are “taking away” jobs from non-celebs is misleading. These jobs wouldn’t go to unknown acting or voice talent anyway. 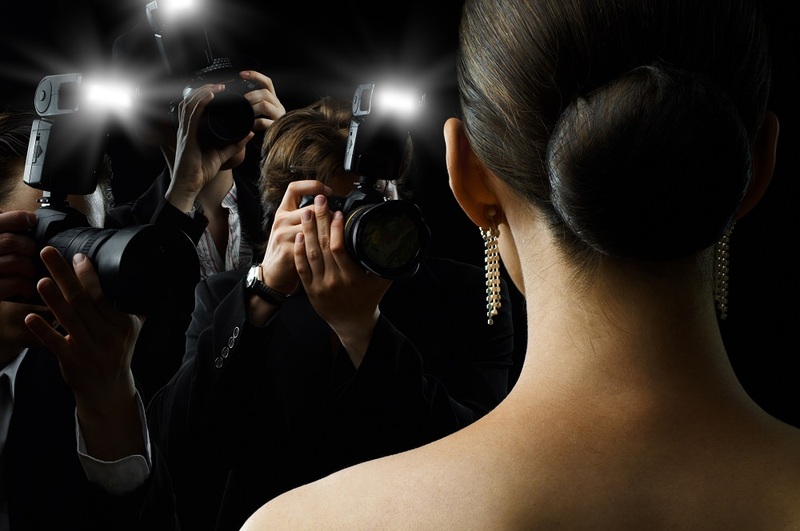 Part of the reason an actor gets to be an “A” lister in Hollywood is due to their talent. They are at the top of their craft. If you pit any of the stars or celebs mentioned in this article up against even a journeyman career VO actor, who has no name recognition in the general public, and perhaps limited or no experience playing roles on stage or screen, who do you really think is going to come out on top when it’s time to hit the box office? Any “celebrated” actor out there has paid their dues. They’ve come up the ranks from being a no-name to a recognized, respected, perhaps even award-winning actor. That takes time, perseverance, dedication, talent, and a good dose of luck. Being in a place in one’s career to have the opportunity of playing a character in a big animated feature, is a perk of reaching the top of one’s profession. Sure, I can cite examples of situations where someone instrumental in the formative stages of a project was not the final choice for the end product, but that’s show biz for you. It happens all the time. It’s not about being fair. It’s about choices; and making ones that will have fiscal rewards for the producers and entertainment value for the audience. That’s the producer/director’s job; to employ the best possible actor for each role. Best includes “best return on investment” and celebrities often bring that in spades. There is always room for new talent. Getting that big break and then staying on top, is what most actors work a lifetime towards. There are a few success stories as well. Some of the voices in current blockbuster musical animation come from the Broadway ranks, and have no real name recognition at all in the ticket-buying public. The mega-hit from last year, “Frozen” is a prime example, with Broadway diva Idina Menzel (aka Adele Dazeem) playing the lead, despite the fact that few people outside of the Broadway community knew of her before that role. I’m always telling people who want to get into VO to study acting. Well, these folks are already actors – so… what’s the issue? If anyone is angry because a celebrity got a role in an animated feature, did they really think if the celeb turned it down, it would be open to them? Probably not. If the people in charge want a celeb, that’s what they’re casting for. Want that role? Then become a celebrity! On a positive note, I’ve gotten quite a bit of work doing voice matching for celebrities. Whether it’s scratch tracks, ADR, follow-up cartoon series, video games, product tie-ins, toys – there’s a long list of work created by these films. Plus all of the other roles in the film that *are* open. Go after the work that’s available… there’s plenty of it out there. Best not to waste time and energy getting mad about things not under your control. how well known they are, they may even get more than that. thanks Joe and Jack for your comments. Joe, you echo my point exactly! And Jack, aren’t we all doing what we do for the money? that’s the idea, isn’t it…To be paid for what we’re good at? As mentioned in one of the other forums where this blog appeared, celebrities have a much bigger TEAM to pay than most journeyman VO (agents, managers, attorneys, PR, personal accountants, etc.) so there is no shame in taking a job for the money! Also, I know there are celebrities who do commercial work in other countries for BIG bucks. The offer comes due to their celebrity and talent. These jobs are not floating around, up for grabs, for the general acting or voice acting community. So, yes, I say, no one is “stealing” jobs away from “deserving” VO actors. As Joe says, if a VO actor wants those jobs, then go out and become a celebrity. I’m sure there’s a blog with 10 EASY steps somewhere! In my honest opinion Dreamwork’s featuring of celebrity actors “starring” as their animated cast was the beginning of an end to the rose tinted glasses to animation. Billing popular actors to just play themselves behind a cartoon persona tends to detract from the detachment from reality provides and at many points you find yourself wonder what the actor will say next contrary to what the character will. I have actually always found Pixar’s casting of classically trained voice actors as one of their greatest strengths. Sure the big ticket roles go to Tom Hanks, Kevin Spacey, Tim Allen, Billy Crystal and John Goodman but almost every nook and cranny of the film is filled out and subtly controlled by the subtly of the actors around them. I am of course NOT questioning the talent of ANY of these actors, several of the above list are some of the greats. What I am saying is that when a production company presents a film as a whole, no part superior to another, there is always something special there. The voice acting is a part of the ensemble. It is as important as the score, the art, the story. Without it there would be something significantly lacking in the spirit of the piece. However I always feel that putting these celebrity voices on a pedestal breaks them away from the ensemble, hones it’s audiences attention and distracts from the piece as a whole. Disney was the first to use celebrities to do voice acting. But they used them as exceptions. Dreamworks started to use them as the rule and there was born the problem. Casting celebrities over experienced and prolific veteran voice actors. Take a look at Kung fu Panda: Fred Tatasciore first got the role of Po’s father in the second movie because those were only a couple of lines. Fred is one of the greatest voice actor you could ask for. He’s talented, so talented that he can portray characters completely differents and still pull off a wonderful job. He can change his voice so that no one can recognize him. And yet… in the third movie he was replaced by Bryan Cranstron. Because Cranstron is a celebrity. He got not even half of the talent of Fred (speaking of voice acting) but he’s famous. This is Dreamworks logic and it’s killing the voice acting business.